Station Hollywood: Soham, Sumit Ganguly and others stormed Zee Bangla Tumi Je Amar. Soham, Sumit Ganguly and others stormed Zee Bangla Tumi Je Amar. Soham, Sumit Ganguly and others stormed Zee Bangla Tumi Je Amar. On 13th May, 2014, Prasenjit Chatterjee and Rachana Banerjee invited star celebrities and their wives in the program Zee Bangla Tumi Je Amar. 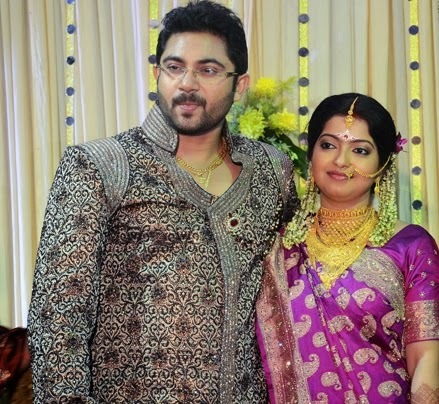 The celebrities who were invited included actor Soham Chakravarty and his wife Tanaya Pal, actor Sumit Ganguly and his wife, singer Parama Banerjee and her husband, Debdoot and his wife. Soham had impressed the viewers with his acting as child artist. In the second round, Prasenjit Chatterjee and Rachana Banerjee showed Soham clippings of three Bengali films where he acted as child artist. One was Satyajit Ray’s Sakha Prashakha, the other was Mangal Deep and the third was Anjan Dutta’s Choto Bou where he played the role of the son of Sandhya Roy. His wife chose the film Choto Bou where he looked cute and impressed the audience. Prasenjit Chatterjee also asked him to dance in the song number “na re na”. Sumit Ganguly had always acted in the role of villains in bengali films. When he was asked who was the actress who he did not get any role of kidnapping among the three Subhashree, Srabanti and Payel; he answered Srabanti Chatterjee. He also said that in the industry he did not fear anyone except Prasenjit Chatterjee and Rachana Banerjee. In majority of films when he played the role of the villain, Prasenjit Chatterjee played the role of hero, so at the end of the film he used to get beating from Prasenjit Chatterjee. Parama Banerjee’s husband was a businessman posted in Mumbai. When she was asked whenever her husband is posted in Mumbai, if she had to sing a song between the three songs of Lata Mangeshkar, “na mono lagena”, “tumi chara” and “ki likhi tomay”; she said she would have sung “ki likhi tomay”. In the break actress Gargi Roy Choudhury and her husband (the director of the film Ramchonu” came to promote their upcoming film Ramdhonu. Incidentally Rachana Banerjee had also acted in the film. The film is related to the question of admission of children in Kolkata in good English medium schools. Gargi and her husband played the role of the parents of the child who required admission. Rachana Banerjee played the role of the lady teacher who was groomer of the parents who were required to give interview in different schools for admission of their children. Rachana Banerjee and Prasenjit Chatterjee anchored the program very well.